The boys are acting out the Five Little Monkeys song in this kids’ videos as they jump on the trampolines. Watch them enjoy and have fun as they pretend to be the monkeys who fall off the bed. They also loved jumping into the sponge pit and bouncing of the elastic wall. 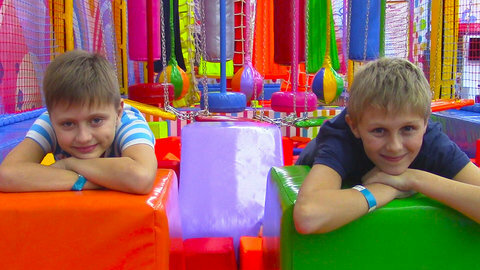 Enjoy watching the boys play with the other videos that you will find at SeeZisKids.com.